To add some festive flare to your home, temporarily swap out your existing artwork and photos with holiday gift wrap. It's an easy way to transform a living room or hallway and a great way to get use out of your leftover wrapping paper! 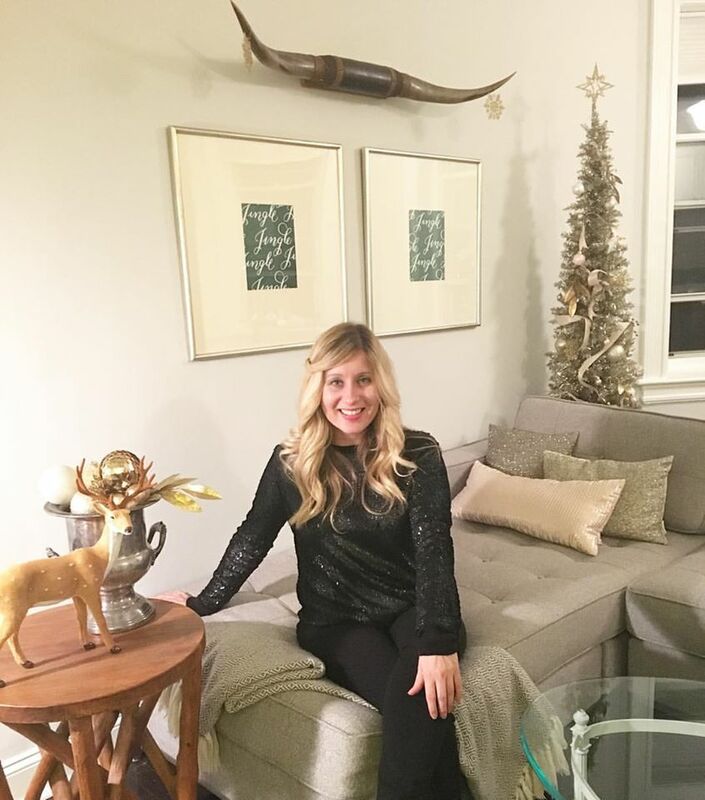 Laura Hooper Calligraphy's green Jingle holiday gift wrap looked great in my gold Pottery Barn square frames. I added ornaments to my horns to complete the look.